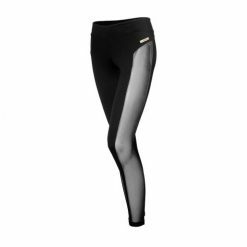 Marlin leggings are high waistband leggings with cutout in beak on the front, highlighting the feminine silhouette. 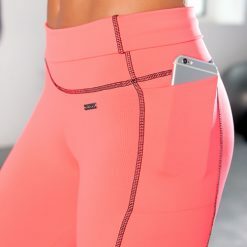 Marlin leggings are high waistband leggings with cutout in beak on the front, highlighting the feminine silhouette. They come in basic colors, with fittings in different shades, making it the most cheerful model. It also has a rectangular medal enriching the outfit. 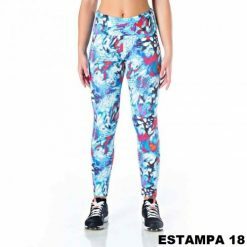 Its fabric is composed of polyamide / elastane, which together provide extreme comfort, elasticity and freedom of movement during the activities. Its adherence to the body gives perfect support and compression in the right degree. If you want to wear a perfect set, we made for you Solimar sports bra and Oasis Singlet (with the same color as the sports bra).